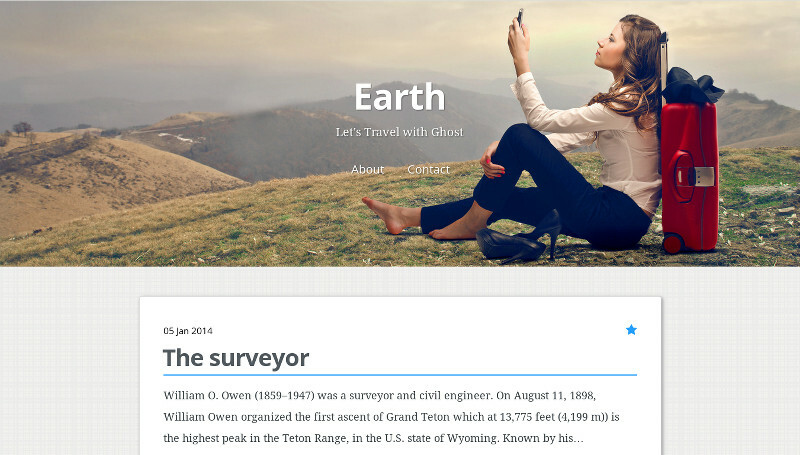 Earth is clean and responsive ghost theme for bloggers. Once purchased, you will receive future updates with more features and enhancements. © 2017 by GTheme. All Rights Reserved.